By continuing to access the site you are agreeing to their use (traffic measurement). Learn more about cookies and modify the settings. 2.5 return trips per day during the week, connections with TGVs departing from or arriving at the Rennes train station. Stops in Montauban, St Méen, Merdrignac, and Plemet. 7.5 return trips per day during the week, connections with TGVs departing from or arriving at the Rennes train station. Stops in Guer, Ploërmel, Josselin, La Fourchette, Pont Hamon, and Ste Brigitte. 4 return trips per day during the week departing from Rennes and 1 return trip departing from Dol de Bretagne. TGV connections made. Service is provided to the following stops: Plaintel, L’Hermitage-Lorge, Uzel, La Motte, Loudéac, St-Gonnery, St-Gérand, Kério hospital, Pontivy, Locminé, Colpo, and Baud. The bus line is connected to the rail network and provides many TGV and TER connections. Since 2002, the Regional Council of Brittany has been in charge of providing transport to travellers in the region and, as such, defines the level of service for regional trains and coaches: areas served, fares, information, and quality objectives of the public service. The SNCF operates the network, organises train and coach traffic, and also counsels and undertakes studies for the Region. 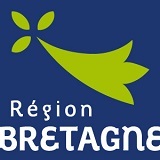 In April 2012, the Region of Brittany received the grand prize from the magazine Ville Rail & transports, which distinguishes French regions as organising authorities for regional transport for travellers, on the basis of their results. 'One of the most modern or modernised fleets, one of the best evolutions in terms of offering, the highest regularity in France, and a situation that made progress in this area, between 2009 and 2010, largely contributed to Brittany's earning first place. Brittany is also one of the regions with the least amount of train-kms discontinued,' writes Ville Rail & transports.